Pygmy Marmosets are the smallest monkey in the world! Pygmy Marmosets are the smallest monkeys in the world and here at Adelaide Zoo we are lucky enough to be home to 11 of these pint-sized primates! The matriarch of the family group is Fluffy who was born at Adelaide Zoo on 1 March 2011. She’s an amazing mum and has had more than 10 offspring over the years. Fluffy loves her food and not even her babies can come between her and a tasty mealworm, she’ll steal them right from their hands if she’s hungry! 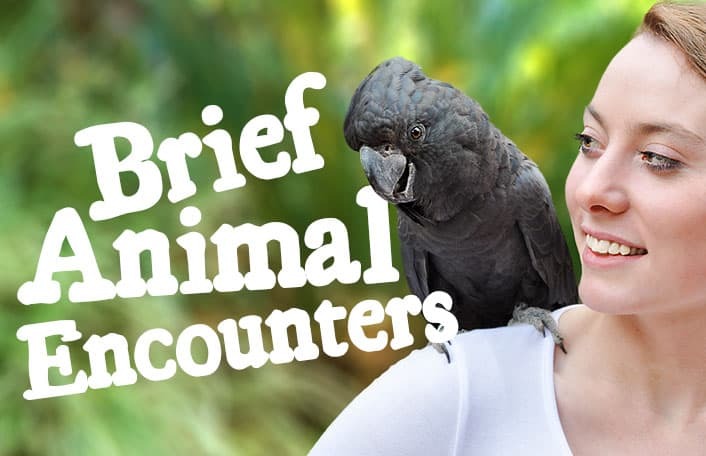 Paz was born at Adelaide Zoo on 20 September 2014 and is very friendly young lady, who loves to hang out with her little sister, Eva, born in October 2015. The family welcomed two sets of twins in recent years – Emmy and Elle, girls born 1 March 2015, and the youngest members of the family, twins Domilita and Pancho, who were born on 21 March 2016. We are also home to a bachelor group of four males. Marmie our oldest Pygmy Marmoset who was born at Blackpool Zoo in the UK on 22 January 2002 and came to Adelaide Zoo in 2006. Marmie prefers to hang out alone and watch what his keepers are up to. Sultanas are his favourite treat! Chewie is Marmie’s son, born at Adelaide Zoo on 26 November 2011. Cuzco was born 23 September 2013 and is very shy in nature and the least likely to come up close to his keepers. Gizmo was born 11 April 2014 and is the friendliest of the siblings. At the monthly weigh-in he’s always first on the scales for a treat and doesn’t want to get off when it comes time to weigh the rest of the family! 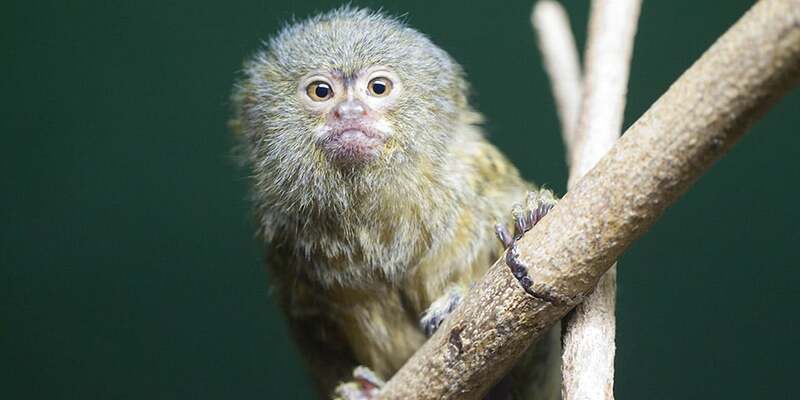 The Pygmy Marmoset is native to the rainforests of the western Amazon basin in South America. These mini monkeys live in lowland, tropical evergreen forests, often on river floodplains. It’s the smallest monkey in the world and can fit comfortably in an adult’s hand, with an average weight of less than 120 grams! They’re a strange but adorable looking monkey with squirrel-like hands and feet, a long mane of hair around their face and a tail that is longer than its body. Their tiny bodies are covered with orange-brown fur that can sometimes have a greenish tinge! 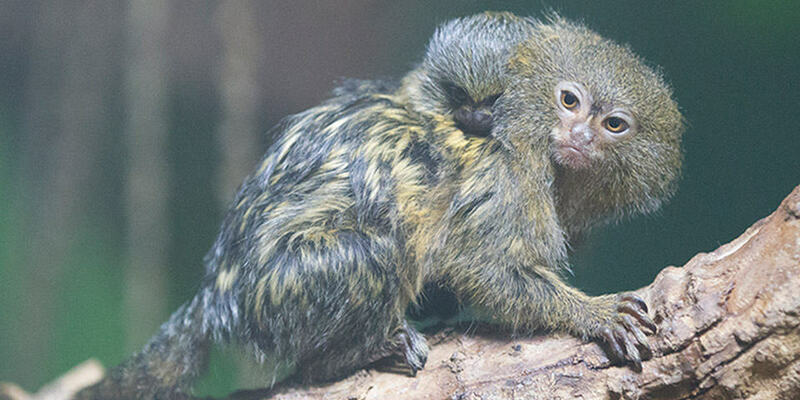 Despite their size, Pygmy Marmosets can leap up to five metres! 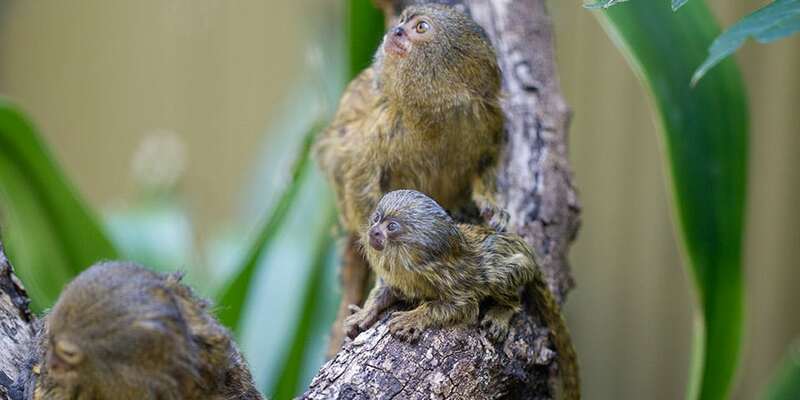 Pygmy Marmosets live in small family groups and females can have twins twice a year. Baby marmosets are no bigger than a human thumb! Tree sap is their food of choice so it’s a good thing they’re perfectly designed with claw-like nails and elongated incisor teeth to gouge holes into trees to allow the sap to seep from within. Fortunately Pygmy Marmosets are still common in the wild but do face threats from habitat loss and the pet trade.  Love monkeys? Join our troop and ensure monkeys stay a swing ahead of extinction! There are many ways you can help support these adorable little monkeys.